In the past, when I wanted to create a paint-like effect, I always opened Photoshop and relied on the trusty old bitmap graphic. That is, until I discovered the Bristle Brush in Illustrator. 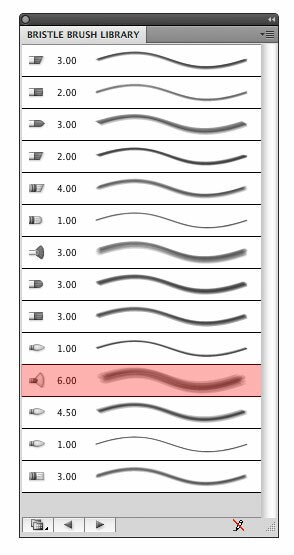 The Bristle Brush (which is actually a set of brushes) allows you to paint with layers of vector strokes that apply different shades and transparencies to the stroke. 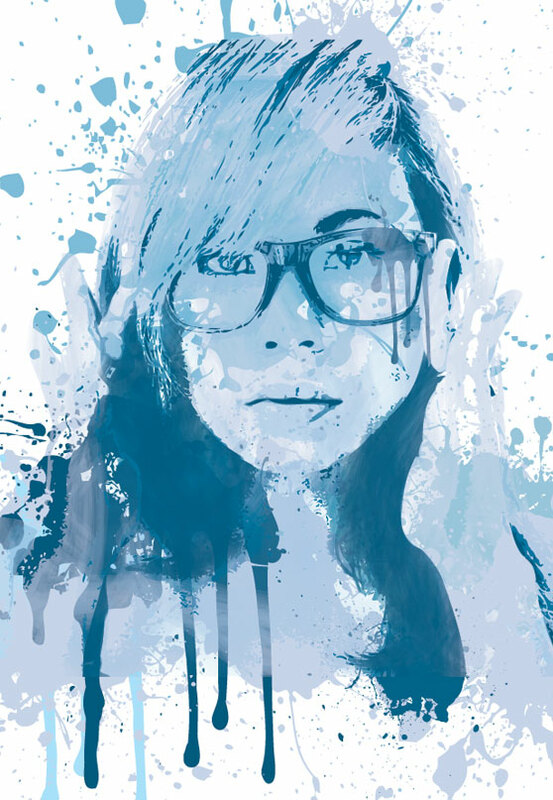 The result is a beautiful and realistic looking paint stroke that is 100% vector. In this tutorial, I'm going to show you how to use the Bristle Brush to create a painting similar to the one I created below. First up, find a good portrait photo. I used this image by Helga Weber. I copied and pasted the image onto a new art board in Illustrator. 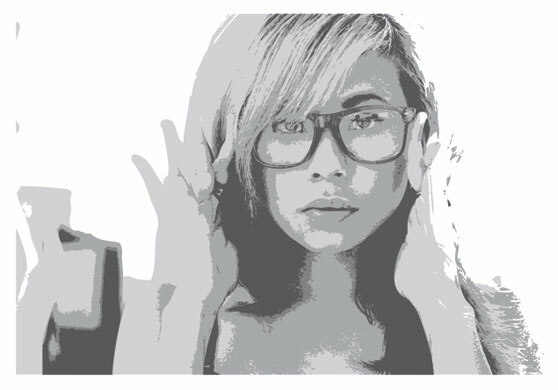 To trace the image using the latest versions of Adobe Illustrator click (Window | Image Trace). Use "Sketched Art" as the preset then bump the Threshold setting up to 220. 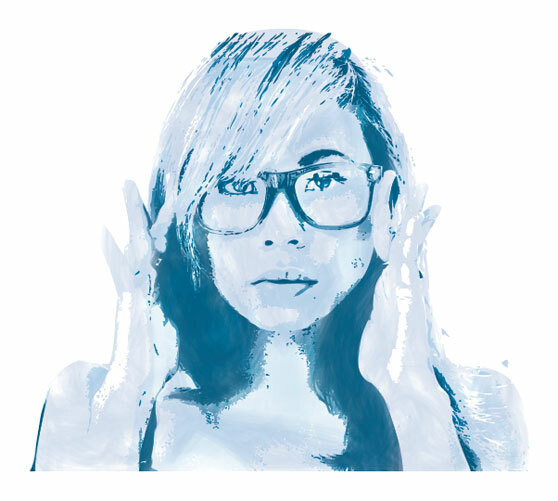 Note: For Adobe Illustrator CS5 click (Object | Live Trace | Tracing Options). 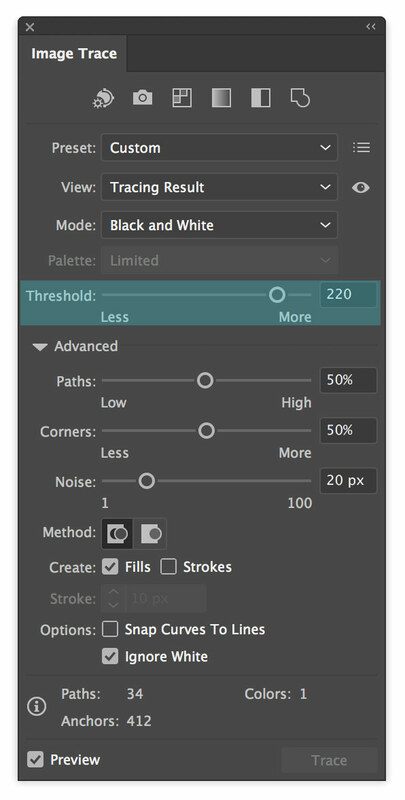 In the Tracing Options window, choose "One Color Logo" for the Preset, and then bump the Threshold up to 220. Click "Trace". 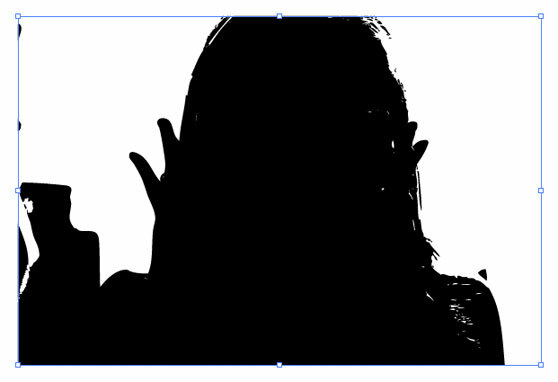 You'll see that the result is a solid black shape of the girl. Once you've got your trace, click (Object | Expand) to convert the trace to an editable object, and reduce the color to 20% black. With the shape selected click (Object | Hide | Selection) or (Cmd+3) to hide the shape from view. Very Important: You need to repeat the above steps 3 times. Pasting the image on a new layer each time. 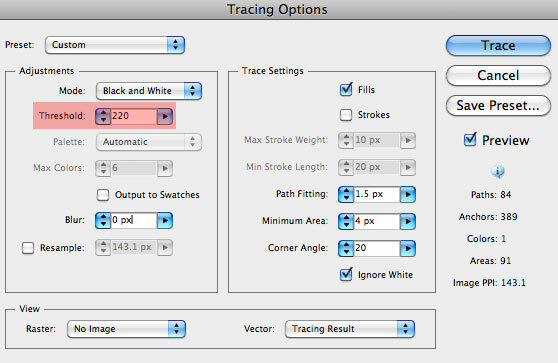 For each image, reduce the threshold setting in the Tracing Options window down to (160, 80, and 50) to reveal more detail with each trace. Once traced and expanded, increase the black color by 20% (so... 40%, 60%, 80%). Also, note that when you paste the image it lands in the exact place the previous images did. 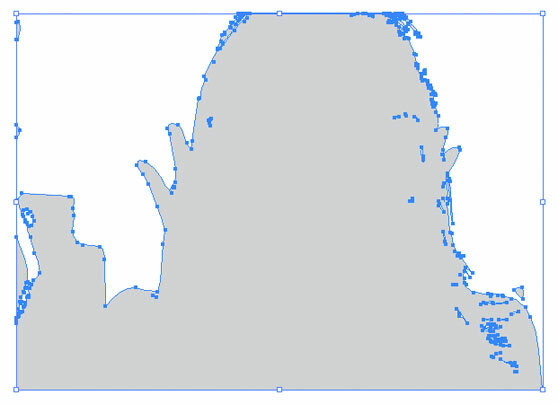 So the resulting traced shapes are directly on top of one another. Now that you have all of your traced images on separate layers, you can click (Object | Show All) or (Cmd+Option+3) to unhide all of the shapes. You should have something like this. Now let's open the Bristle Brush Library. 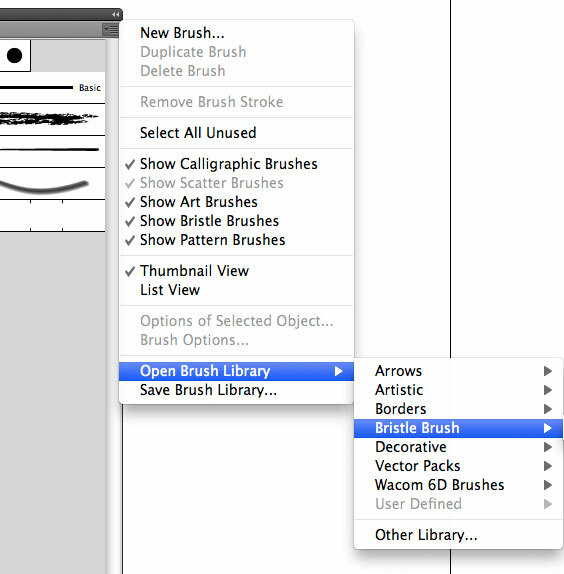 Click the drop down menu in the upper right corner of the brush panel, and select (Open Brush Library | Bristle Brush). Now turn off layers 2,3 and 4 to view only the solid background shape again. With the shape selected click (Object | Ungroup). You may have to do this 2-3 times before the shape is completely ungrouped. 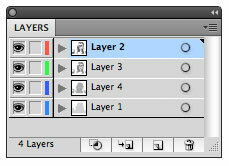 Now select the shape again, and choose "Draw Inside" from the bottom of the tools panel. Note: this option will not be available if you are clicking on grouped shapes or multiple shapes at once. Now click "None" for the fill. Now select the brush tool, and begin painting in the shape. 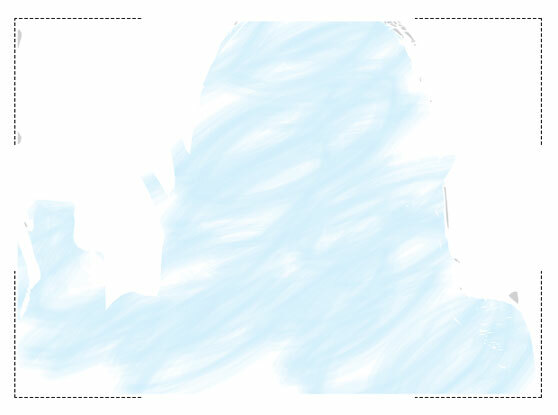 When you release the brush stroke it will be masked by the original shape. For the final step, I added some vector paint resources that I had on hand. 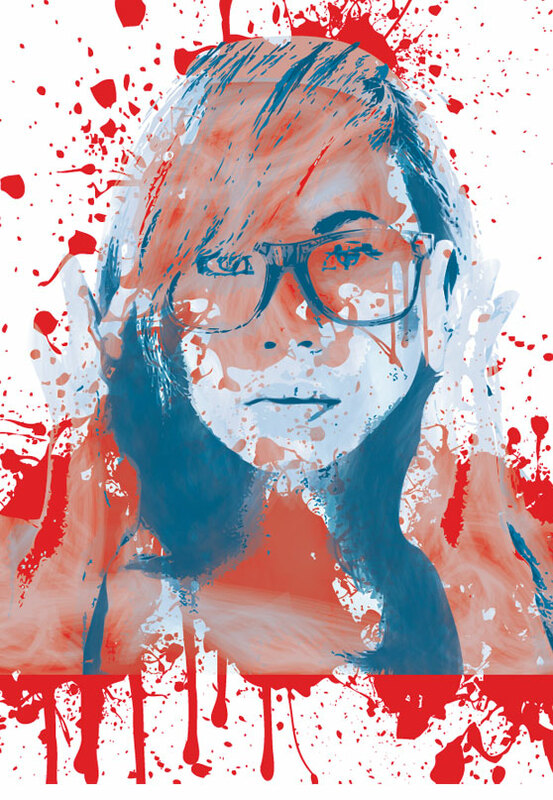 I used elements from the Vector Paint Drips set, and the Loose Splatters set. I've highlighted them in red below so you can get an idea of placement. These are all on a layer below all others. And below is the final piece. I hope this tutorial has inspired you to create something unique with the Bristle Brush. It truly is a powerful vector tool.